Giga Watt is attempting to revolutionize the blockchain mining industry. Since the original Bitcoin Blockchain was born, one of the biggest barriers to entry, if you wanted to become a miner, was the cost benefit relationship. Bitcoin, as the original cryptocurrency was released as coins were “mined”. Mining consists of using energy to decipher difficult mathematical equations. Once this is accomplished, the coins are released. The challenge is, that the more miners attempting to release the coins, the more expensive it becomes as more energy is necessary to release each coin. The biggest of the challenges facing want-to-be miners is the cost of set-up to compete with existing miners. The cost can be mammoth. This challenge does not only apply to bitcoin, but to other cryptocurrencies that are mined as well. Attempting to set up your own mining facility can cost millions and take time. We are not going to go into all the details of the costs breakdown as you can find them on Giga Watt’s website. One thing worth pointing out, although obvious, is that if you wanted to set up your own mining operation at scale, the costs are no joke. 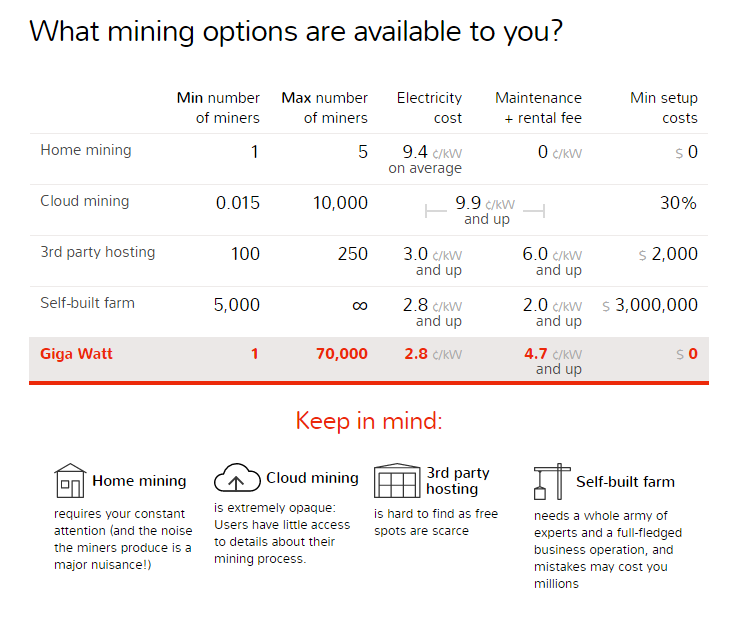 With basically no minimum commitment and the ability to scale, Giga Watt looks like a good way to get into the mining business. 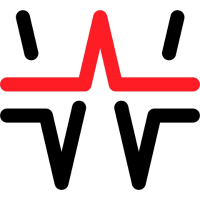 Giga Watt will be offering its WTT tokens through its Initial Coin Offering starting June 2, 2017. WTT will be the “currency” used to buy processing power from the processing center. Owners of the token can use it for their own processing or rent it out to other miners. Usually, Giga Watt charges hosting fees which cover the rent of facility capacity, and electricity and maintenance. Token owners pay no rent, which further slashes ongoing costs. The cost of the WTT token will start at $1.00 per WTT and scale as high as $1.20 by the ninth week of the sale. Giga Watt has placed a hard cap of 30,000,000 WTT tokens to be sold through the ICO.